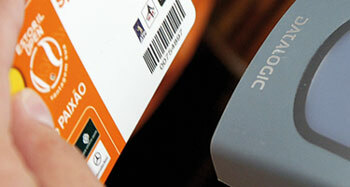 Datalogic is a leading international manufacturer of barcode readers, mobile computers (ADC), RFID systems, sensors and industrial automation devices (IA). The company distinguishes itself through innovative solutions for the manufacturing, transportation and logistics, retail and healthcare industries. Romano Volta founded the company in 1972 and began production of photoelectric sensors for automation. The company was one of the first to begin developing barcode reading devices at the end of the 1970s. Datalogic eventually became highly renowned and the premier manufacturer for data collection hardware in Europe. Excellent workmanship and outstanding product design quickly convinced customers in industry, production and trade. Nowadays, Datalogic, headquartered in Bologna, Italy, employs more than 2,700 employees throughout thirty countries. Datalogic has been quoted on the Italian stock market since 2001 and achieved revenues of 576.5 million euros in 2016. With more than 1,200 patents, Datalogic continually invests in research and development – more than 50 million euros in the year 2016 alone.